Time : 05 .00 p. m.
Professor G. V. S. Sastry, Actg. Director, shall preside. 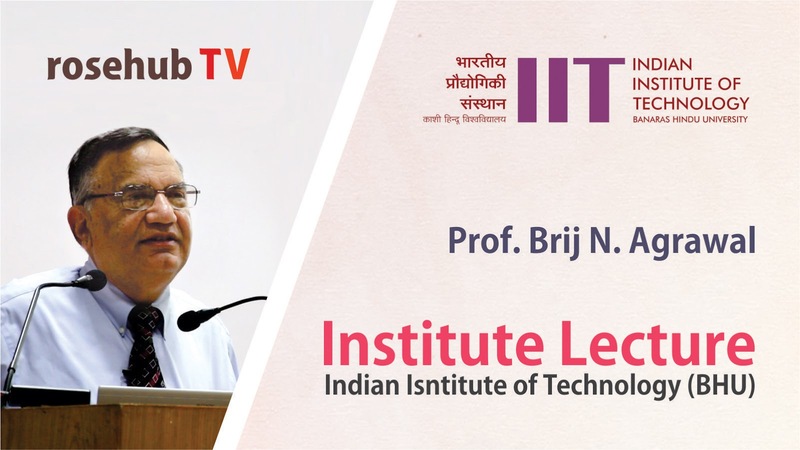 Dr. Brij N. Agrawal is currently a Distinguished Professor in the Department of Mechanical and Aerospace Engineering, Director of the Spacecraft Research and Design Center, and Director of the Adaptive Optics Center of Excellence at the Naval Postgraduate School (NPS), USA. He has developed teaching and research programs in spacecraft design, acquisition, tracking and pointing, jitter control, and adaptive optics control for imaging spacecraft, laser communications, and high energy laser beam control. Prior to Joining NPS in 1989, Prof. Agrawal worked for twenty years in R&D and development of several communications satellites for Communications Satellite Corporation (COMSAT) and International Telecommunications Satellite Organization (INTELSAT). Professor Agrawal wrote the first textbook on spacecraft design: “Design of Geosynchronous Spacecraft.” He has been thesis advisor for 10 Ph.D. and 45 MS students. He has two patents, one on attitude control and the other on jitter control. 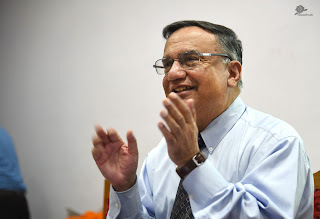 Prof. Agrawal has published over 150 papers in journals and conference proceedings. He has received several awards. He received B.Sc. 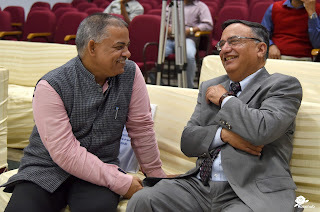 (Hons) in Mechanical Engineering in 1964, ME (Hons) Mechanical Engineering in 1966, IIT Roorkee, MS Mechanical Engineering, 1968, Mc Master University, Canada, Ph.D. Mechanical Engineering, 1970, Syracuse University, USA. He is a Fellow of the American Institute of Aeronautics and Astronautics (AIAA) and Academician, International Academy of Astronautics. He has collaborated in India at ISRO and DRDO. At ISRO, he participated in the early phase development of INSAT 1, first Indian communications satellite, 1977-78. At DRDO, he has given short courses in space systems and adaptive optics for high energy lasers. 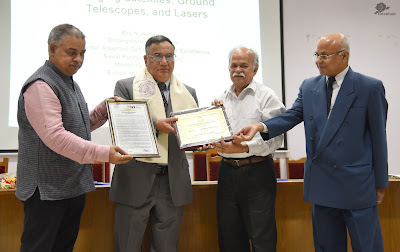 For recently approved multiyear joint project between DRDO, India and Department of Defense, USA, he is the principal investigator on the application of adaptive optics to correct the high energy laser beam aberration due to air turbulence. tors for segment phasing. It has Shack-Hartmann wave front sensor for surface control and phase diversity sensor for segment phasing. It also has Fast Steering Mirror for jitter control. These mirrors need to have very fine surface accuracy in the range of 30 nm RMS. Research is also performed on reducing primary mirror surface performance requirements by adding a deformable mirror in the optical path. Another area of research is correcting laser beam aberration due to atmosphere turbulence by using adaptive optics. Applications are laser communications and high energy lasers.